Love chocolate? Great! Then join Arts for Learning Indiana for their annual Chocolate Festival at the Indiana State Fairgrounds Farm Bureau Building on October 11th. The festival will run from 12 - 4pm and will feature samples from more than 20 of Indiana's finest dessert makers, live performances, and hands-on art workshops to enjoy. All proceeds from the event will support Arts for Learning Indiana, Indiana's oldest and Largest arts in education provider. 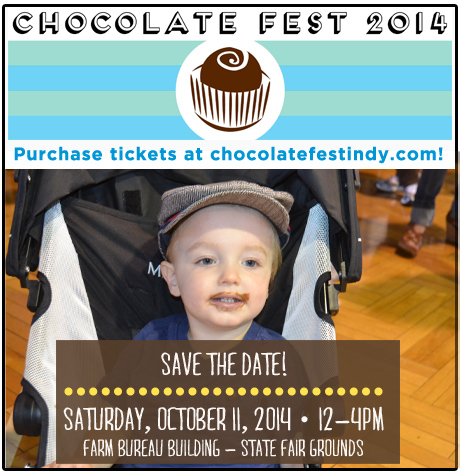 For more information about this event visit the Chocolate Festival main page by clicking here. Arts for Learning Indiana is an affiliate of Young Audiences Arts for Learning.